Sometimes it feels like one of our hardest jobs as parents is teaching our kids how to be grateful. I’m not sure it comes naturally to everyone. I can say for a fact that a child that wants for nothing (IPad and IPhones don’t count!) 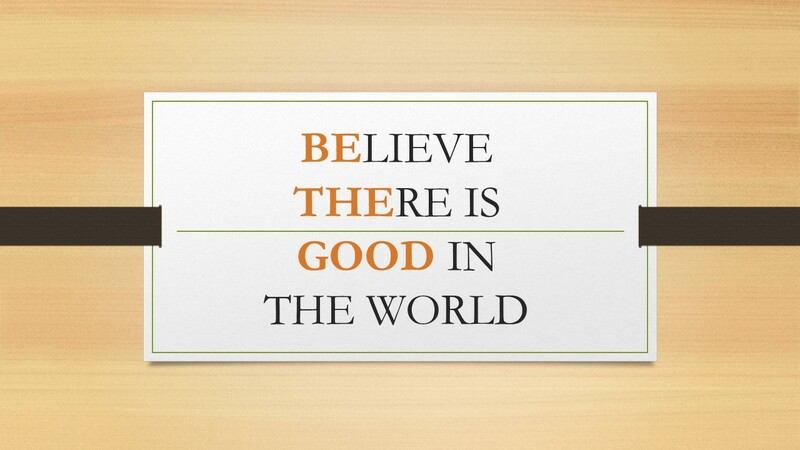 has a hard time grasping what a true need really is…even if they do say please and thank you. Our boys groaned a bit about our food drive. Big surprise since they would be doing the heavy lifting. A real residual benefit for us though is that participation in this worthwhile event is what we parents call a “teaching opportunity”. On the day of our pick up, we let them sit in the back of the truck to search out the bags that were left at the curbs and sidewalks (in the Temecula Creek, Oak Creek and Berringer Creek neighborhoods) for us to pick up and by the first recovered bag…they were all smiles and giggles. They thought it was fun! And by the 2nd bag they remembered and reminisced a bit about the last time we did this. By the time we unloaded all of our bags into our Century 21 Wright office with all of the bags everyone else in our office collected…they were full of accomplishment. There were piles of food everywhere! 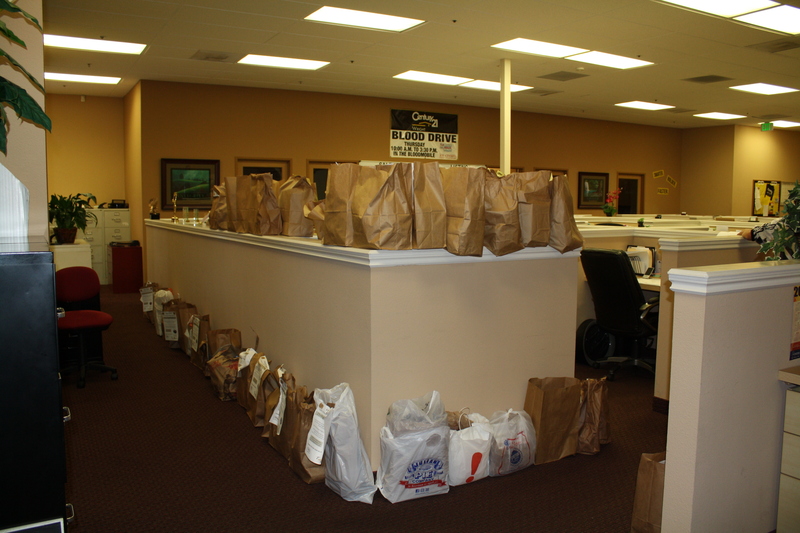 The food was donated to the Temecula, Murrieta Rescue Mission. The food was sorted into Thanksgiving boxes by volunteers along with turkeys donated by Pechanga Resort and Casino and given to seniors in our valley. We are forever grateful to live here! 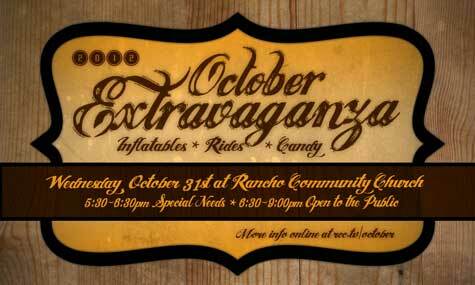 Every year Rancho Community Church sponsors OCTOBER EXTRAVAGANZA on October 31, halloween night. 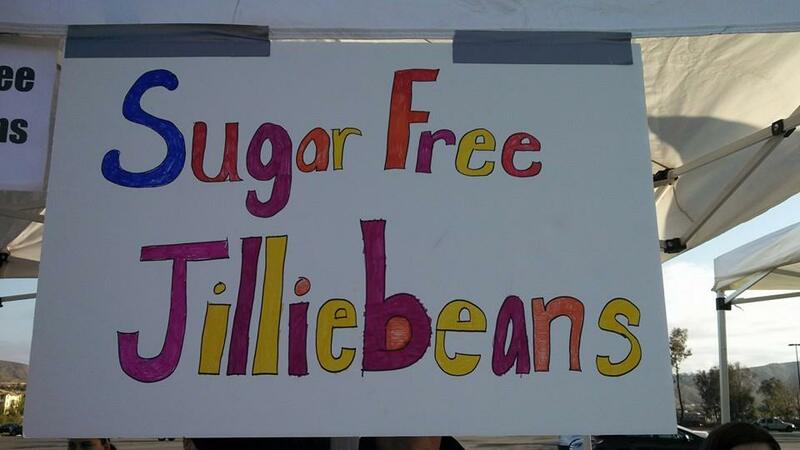 It takes place at the pumpkin patch carnival near the entrance to the church. Church families and volunteers host game booths and give away tons of candy that the church collects from the community in the month of October. The rides, inflatables and candy are free for anyone that wants to attend. Gates open 5:30-6:30 pm for children with special needs. Rancho Community Church is located at 31300 Rancho Community Way, Temecula CA 92592. We are providing this list to help those that are participating in our October 2010 Food Drive for the Temecula, Murrieta Rescue Mission. 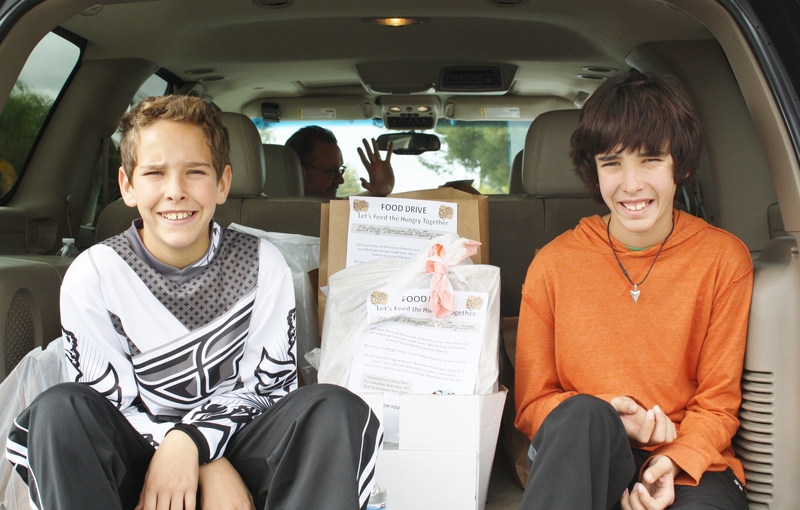 The Rescue Mission provides a box of non-perishable food to each family or individual(while supplies last) that show up on Wednesdays from 4-6 pm (winter hours will be 3-5) in the west parking lot of Rancho Community Church at 31300 Rancho Community Way, Temecula, CA 92592. They also receive fresh bread, fruit and vegetable as donated by the community or grown on the farmland donated for this use. Hygiene kits and baby items are also made available when supplies are on hand. Clothing is regularly available. 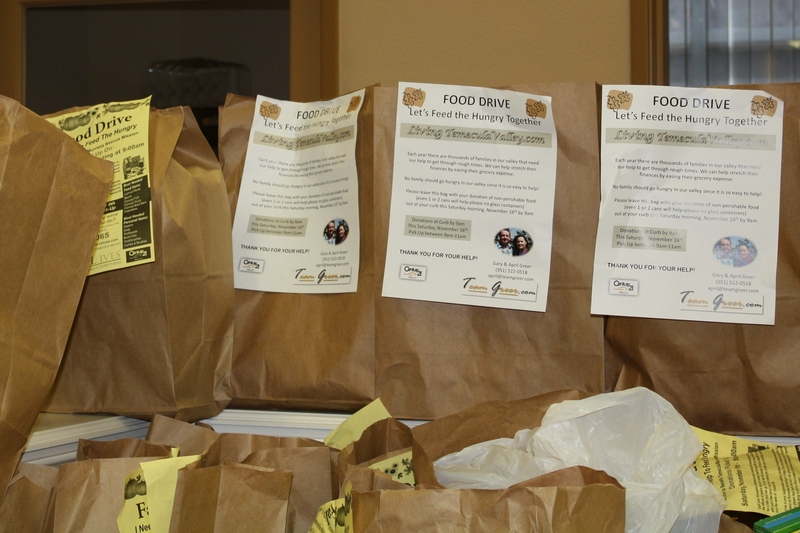 If you are in our current food drive neighborhood then you have received a bag that we will pick up on October 17th. We would love any feedback on our food drive by simply making a comment below. If you did not receive a bag from us and would like to make a food donation, please feel free to call, email or make a comment below and we will be happy to pick up your donation at your convenience. You will NOT be added to any type of email campaign by making comments on our blog. 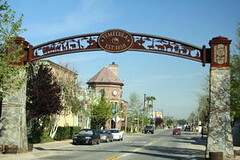 The Temecula, Murrieta Rescue Mission is a joint venture between the longstanding Orange County Rescue Mission and Temecula’s Rancho Community Church. 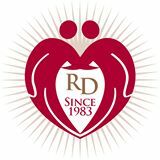 Our local rescue mission food drives through the church all year long to provide food to feed approximately 100 local families that line up at the church every Wednesday afternoon. 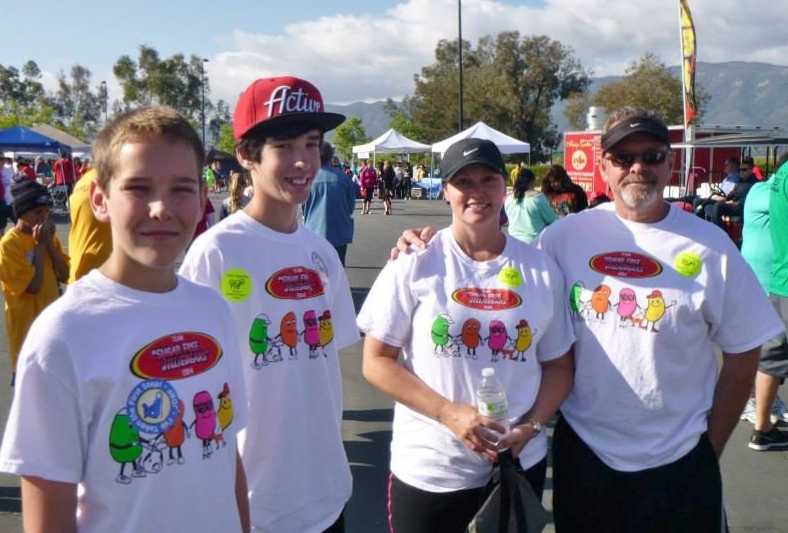 Families are provided with a box of non-perishable food items and a variety of fresh fruits, vegetables and breads that are harvested at a farm in Fallbrook that volunteers from the rescue mission work every Saturday morning. The bread is donated by local companies. The rescue mission also has a fully equipped medical trailer that is run by volunteer doctors and nurses on site Wednesday afternoons for those that are in need of healthcare . Gary and I have had the pleasure of collecting, sorting and packing food on Monday mornings at the local warehouse, along with helping in the distribution on Wednesday afternoons. We have helped harvest squash, while our boys dug up radishes on the farm. After having walked with people to their cars (that many are living in) carrying their box of food, I can honestly say that it has been worth every hour we’ve spent to contribute in any small way. 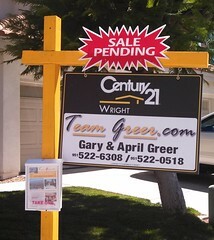 With the current state of the economy there is a level of poverty and need in our valley that didn’t exist before. There is simply not enough assistance through the other emergency food providers in the valley. We are asking that the community help with this worthwhile cause (if you aren’t already helping somewhere else). 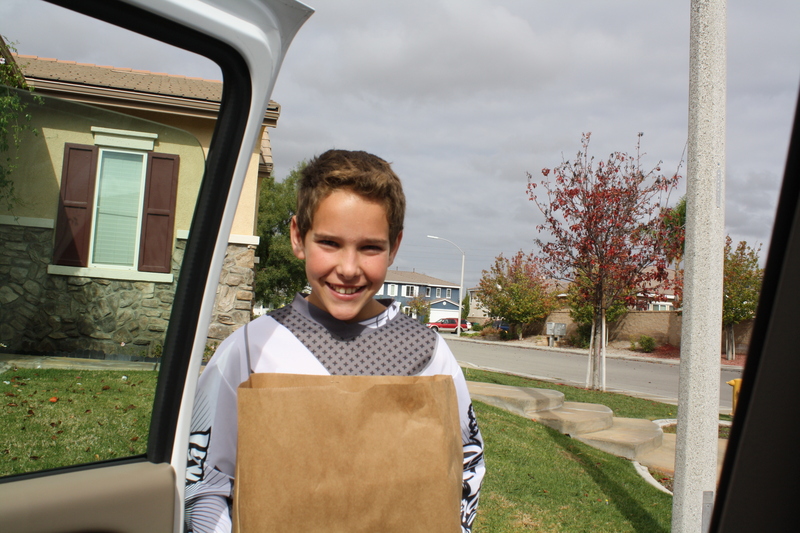 We will be hosting our Annual Food Drive, this year in the Temecula Creek Community in October where we will drop nearly 400 brown paper bags in hopes of getting them filled. If you don’t live in Temecula Creek but would like to donate any non-perishable food items from your pantry, please call April at 951-522-0518 or Gary at 951-522-6308 or send an email to teamgreer@tarbell.com and we will be happy to pick up your donation.